Keeping your family and home safe is a top priority as a homeowner. One of the most important safety measures you can take is ensuring your home is fitted with operating smoke alarms. It’s not just a wise idea to install smoke detectors, it is also required by law. As of Jan 1, 2017, Queensland smoke alarm legislation requires all households to have functioning smoke alarms on all levels of a house. For the best in class for all your smoke alarm solutions, trust Voltfix to keep your premises safe. The team at Voltfix are licensed, highly skilled electricians who can help you choose the best smoke alarm systems. Our smoke alarm service includes everything from assessment and hard wired installation, to fixing or replacing your current smoke alarms. When was the last time you checked your smoke alarms to ensure they are working? It is one thing to have a smoke detector on every level of your home, but the sad truth is that many of us don’t know if they are working properly. Testing your smoke alarm every six months can save your house from a fire and sometimes make the difference between life or death. Imagine the effort it takes to install a new smoke alarm compared with having to replace all of your precious furniture, clothing, memorabilia, and irreplaceable belongings after losing them to a fire? We provide smoke alarm assessments for your home or business so you can avoid false alarms or faults. Our qualified, experienced electricians can come to your home and repair, install or replace your smoke alarms, providing you with the most efficient, cost-effective solutions. We’ll advise you on optimal placement of your smoke detectors. Contact us for all your smoke alarm systems for home or business. Queensland legislation requires all smoke alarms to be photoelectric. In addition, smoke alarms need to be hard wired to the main power supply of the house and it must include a 10-year battery backup that can’t be removed. 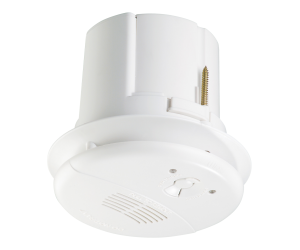 Photoelectric smoke alarms: detect smouldering fire which typically forms visible particles. These particles trigger the alarm to sound when they intersect with the light beams of the alarm. If you’re looking for an experienced, qualified technician to assess your current smoke alarm system or for smoke alarm replacement, please contact us today. We comply with all Australian standards and perform all mandatory testing requirements. We offer exceptional service for residential and commercial properties in Brisbane, including Logan, Redlands and surrounding areas. We offer female and male electrician teams. 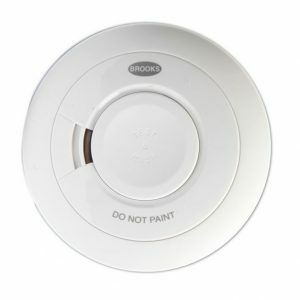 Your smoke alarm installation cost and smoke alarm replacement cost will vary depending on what type of alarm you need, how many and what is required for us to install it. For example, if we don’t have to go into your roof to install then the cost will be less. So please contact us so we can give you a quote based on your circumstances. Contact Us today for hard wired smoke alarm installation and smoke alarm maintenance services and all your smoke alarm solutions.